Living in an apartment building from 1924 can offer some surprises even in 2014. On the first day of the new year I found a Republican copper coin between the floorboards. As far as I understand such coins were minted between 1912 and 1918. 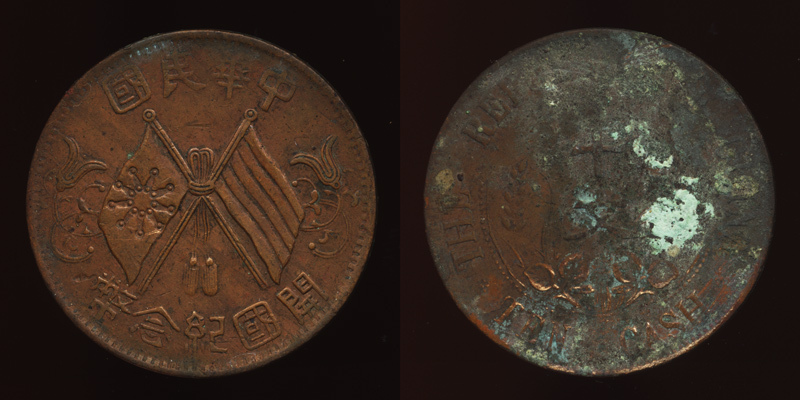 They have little value on the numismatic market – starting at 4 yuan on Taobao – but a lot of significance when they turn up in your apartment in a place that's been accessed and cleaned many times before! 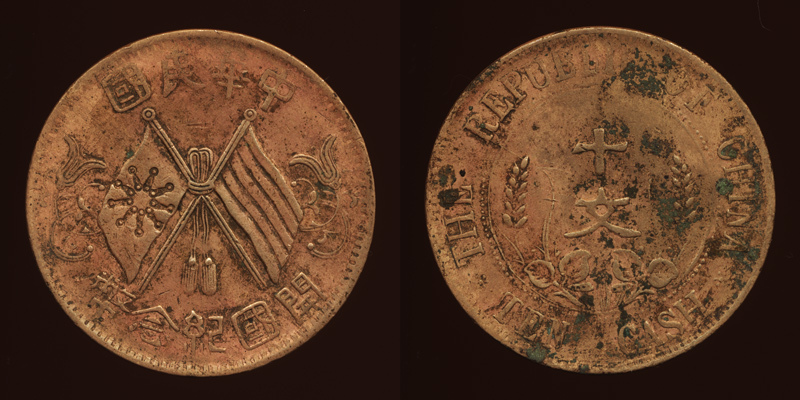 I gave the coin a vinegar scrub to bring out the details.